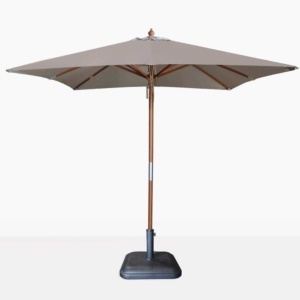 Create the epitome of opulent luxury in your very own backyard with the addition of the Dixon Round Umbrella in Taupe to your outdoor furniture! 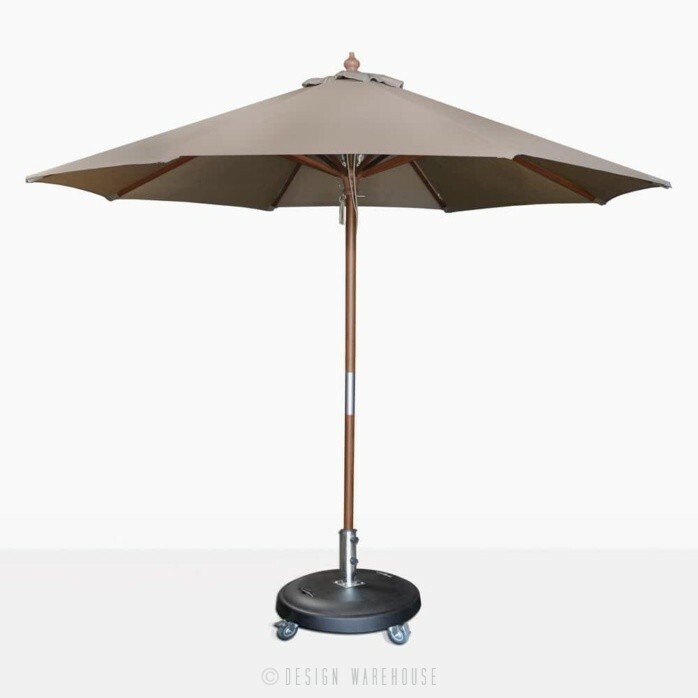 The Dixon Sunbrella® Round Umbrella in distinguished Taupe will be the answer to your shading needs with its classic look and top of the range materials. 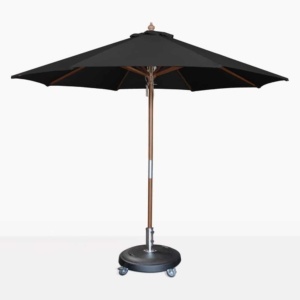 Dixon is making waves as a terrific, easy to use, high quality and stylish umbrella. Not only do we we have the round, but there is a square option as well. We well and truly have you covered! The umbrella base is not included in the price. The Dixon Round Umbrellas have the fantastic Sunbrella® tag to their name, meaning that you’re protected even more because of the top of the range UV protection that only Sunbrella® is known for! At Design Warehouse, we are known and respected for our incredible range of outdoor garden furniture. With materials from teak to concrete, aluminium to wicker, we have everything in our monumental warehouse on the Strand in Parnell. Can’t make it in? Our website is comprehensive and our sales assistants knowledgeable. Peruse and call us with any questions! 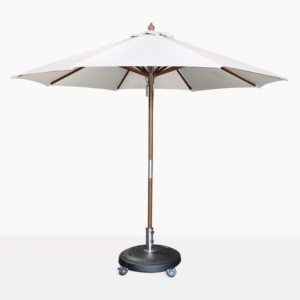 Our Dixon Sunbrella Round Umbrella in Taupe is a superb classic choice for those wanting to put the finishing touches on their outdoor furniture set. Call to order yours today!